Imagine it’s 90 minutes before the big race. Bow number collected, oars by the water’s edge, foot stretcher adjusted, riggers set, bolts tight. It’s now 60 minutes to go. You start to focus. A slow jog to warm up, muscles are stretched out, your earbuds are in, music flaring, you start to feel the pressure. Now approaching the 30-minute mark. You move away with your coach to somewhere quiet, words are exchanged but you already know what to do. The scull is ready for you, lifted on your shoulders. You walk across the pontoon, and set it down gently, cautious of the carbon fibre underneath the paint. You tighten the gates so your oars are secure, start paddling towards the start, execute drills, practice techniques, blood is pumping through your body. T-minus 2 minutes. Ready, set, row…is the call from the starter’s voice. You power through the 2000 metre race course, ripping the water, with all your might. Legs, body, arms, arms, body, legs. That’s your stroke sequence, simple but effective. Seven minutes later, you’ve done it, it’s all over. 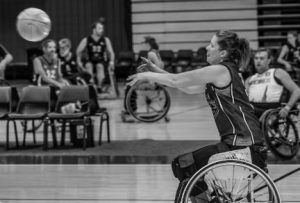 However, for retired Paralympian rower, Gavin Bellis it’s not over. “Everything from getting in and out of the boat, trying to keep in time with my partner, controlling my blades. All of which everyone faces in rowing but for me it was just a lot, lot harder!” Gavin explains. Growing up as a teenager in the small suburban beach town of Tin Can Bay located in Queensland’s south-east, Gavin was always close to the water, whether it was fishing for hours on a Sunday afternoon, sailing across the bay in his family’s boat or even grabbing his surf board when the swell was just right. Fast forward to 2004. 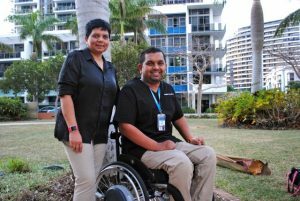 Working as a diesel mechanic with the Australian Army, Gavin was following the path the rest of his family had walked. “My job in the Army was very rewarding and challenging, I got the see a lot of the world, met some great people and made lifelong friends,” he says. It was September 2004 that Gavin’s life would take a new course. Spinocerebellar Ataxia: a hereditary disease that affects one’s movement control, primarily affecting balance and coordination. 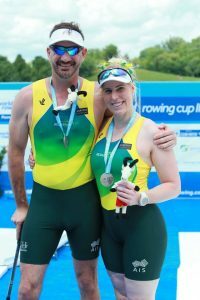 After contacting the Australian Paralympic Committee some years after his discharge, Gavin took his first rowing strokes in 2010. For him, water sports are in his blood. 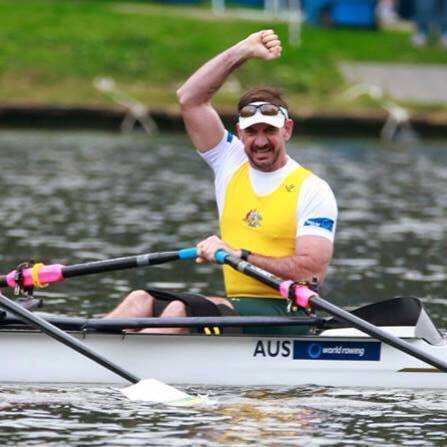 Within his six-year stint as an elite level competitive rower, Gavin achieved monumental heights in the sport, from local club regattas to winning three back-to-back world championships in 2013, ’14 and ’15 as well as representing Australia at two Olympic Games, being London and Rio. 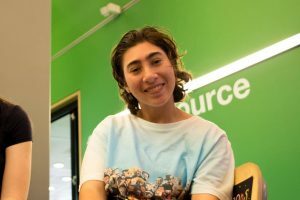 Having reached such stature as an athlete, Gavin has also made some lifeline connections. Griffith University Surfers Paradise Rowing Club Head Coach and former Australian rower himself, Lincoln Handley has nothing but respect for Bellis and his abilities. “To have that success, to be the best in the world, it’s pretty bloody awesome! I mean, only one person can be the best in the world,” Mr Handley says. After competing in the 2016 Rio Olympics, Gavin was feeling his body catching up to him. “The nature of my disease and the effects on my body make rowing the most difficult sport I could do,” he says. 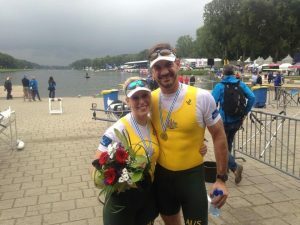 “I lack fine motor control, balance, and coordination all of which are crucial in rowing.” It was October 28, 2016 that Gavin made the call to Rowing Australia and announced his retirement. And like any other professional world-class athlete, rowing took most of Gavin’s time, affecting not only himself but his family. 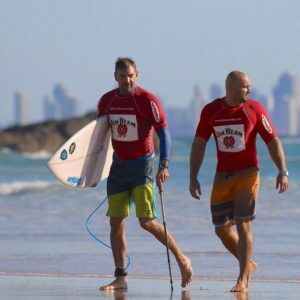 Now living on the Gold Coast, Gavin has recently bought himself a ticket to the US in November after winning the AS4 category at the 2017 Nudie Adaptive Surf Titles, and it seems although retired from rowing, Gav’s love for the water and competing still runs deep.